Nageeb A. Sawaya, “Al-Kown vol. 3 no. 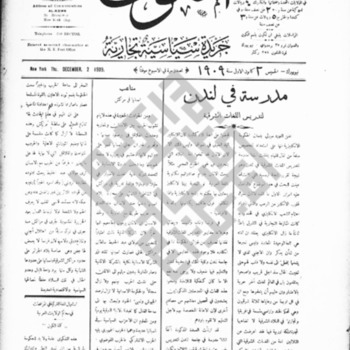 150,” Moise A. Khayrallah Center for Lebanese Diaspora Studies Archive, accessed April 22, 2019, https://lebanesestudies.omeka.chass.ncsu.edu/items/show/18761.